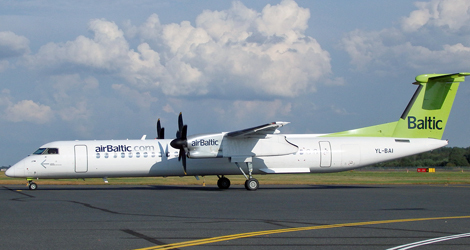 On Sunday, October 13, 2013 an occurrence had taken place, crew member incapacitation involving Air Baltic flight BTI416 operated with a Bombardier DHC-8-403, registration YL-BAJ. 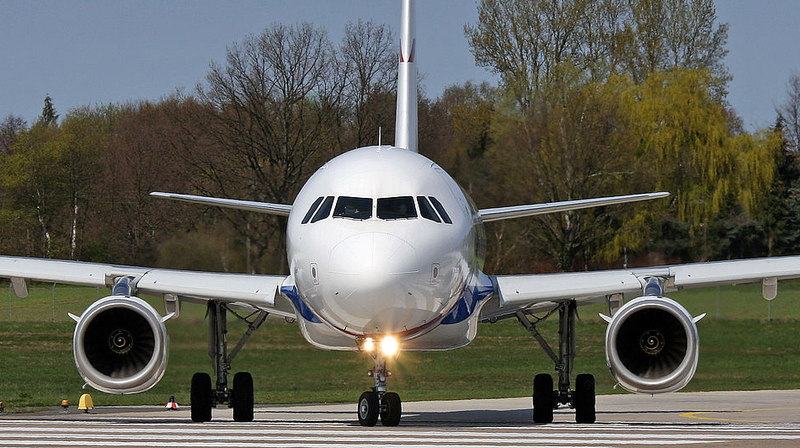 The aircraft was operating a scheduled passenger service from Riga (EVRA) to Moscow, Domodedovo. On first contact at 20:44 with Riga ATC the first officer of Air Baltic flight BTI416 reported to ATC about food poisoning with crew member and his intention to proceed back to Riga International airport (EVRA). During cruise at FL250, approximately 130NM from Riga the Captain said to First Officer that his stomach is not feeling well and went to lavatory. On the way to the lavatory he fell on the floor and fainted. Cabin crew No1 was at front station at that time and provided immediate assistance to Captain as well as called aircraft passengers for a doctor on board. Upon considering Captain’s condition the FO made decision to return back to Riga airport. Declared emergency, and requested from ATC medical assistance as well as short radar vectors. As the descent of Air Baltic flight BTI416 was commenced the Passengers were informed that an early descent was to be made and diversion to Riga due to a medical emergency. The descent, approach and landing were uneventful. The aircraft landed on RWY 36 at 21:23 hrs, after landing in about 20 min remained on runway for ambulance and passenger disembarkation and then was towed and parked on stand at Riga airport. 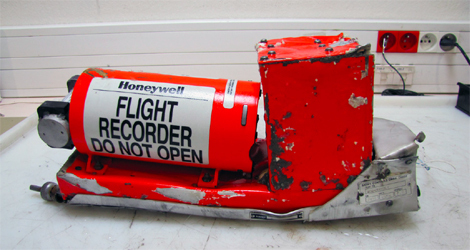 The flight was met by a medical service who rendered assistance to the ill crewmember. The Captain was medically assessed at Riga on arrival and then transferred to Paula Stradiņa Hospital for treatment. The Captain was remained under hospital care for 4 days where a gradual improvement in his condition was made. Upon receipt of the information on emergency and PIC health status CAA Aeromedical department immediately suspended the pilot’s medical certificate.